Using a pick-up truck with an 8’ bed as a guideline, the truck bed is 2 cubic yards when filled level to the top. 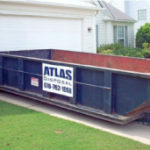 Therefore, a 20 yard container will save you 10 trips to the landfill. Please note that this haul price includes 4 tons. 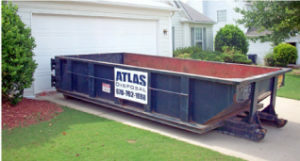 That means the price will stay $365 as long as the contents inside the dumpster do not exceed 4 tons worth of weight. (8,000 lbs). Loads weighing greater than 4 tons will assessed an additional $47 per ton over 4 for cities such as Acworth, Canton, Cartersville, Kennesaw, Holly Springs, Woodstock, Waleska. Loads weighing over 4 tons in cities like Austell, Mableton, Powder Springs & Smyrna will receive a charge of $59 per ton over 4 tons.